Lots of Beatles-related things going on in Liverpool today (makes a change). Its Beatles Day. 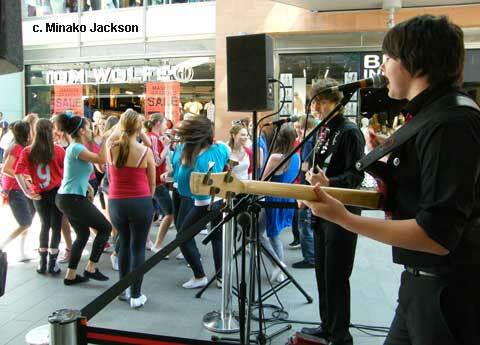 Good to see all the kids dancing in Liverpool One to a band called The Dockers. They all look very young too – must have learned the songs from their Grandparents. There was a children’s art competition in Clayton square and in Cavern Walks Andy Prior spent all day painting this graffiti style mural of the fab four which is pretty good I reckon. Its not my video, it came via think publicity. Next articleFÍS 2009 at C.U.C.